For nearly a century, decorating our homes with Christmas lights and decorations has been an American tradition. 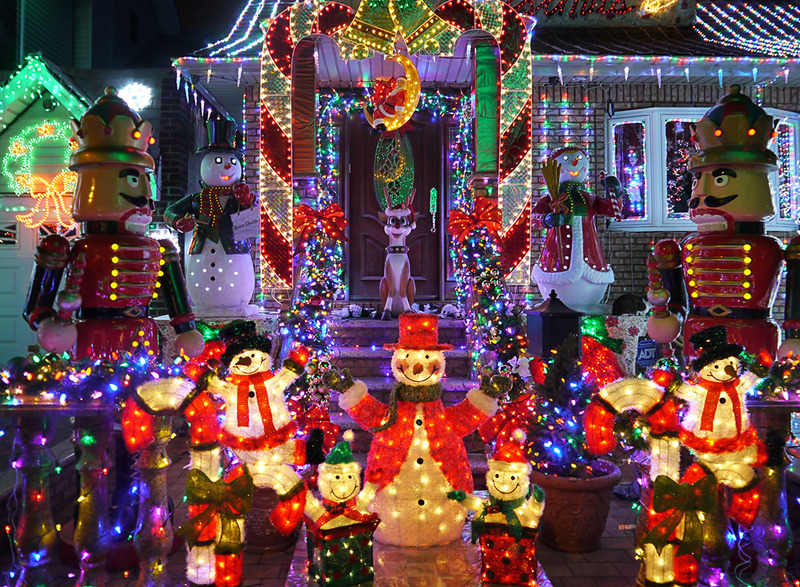 What began in the 1920’s with the first residential light show eventually expanded to become a hallmark of suburban life over the next fifty years Christmas. But it wasn’t until the 70’s that America took its newfound Christmas lighting fascination to the next level. 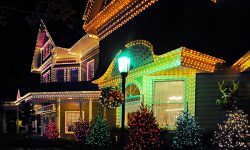 Suburbia was set ablaze with Christmas spirit and, in true American fashion, community Christmas lighting competitions began all around the country (and have continued to the present day). If you’re preparing to compete in your community’s Christmas lighting contest this holiday season, it’s important you do everything you can if you want to have a chance at winning (you’re competing, so why not compete to win?). First, before drafting (or, at least, completing) your lighting plans it’s important to spark your creativity. Do this first because it will have an influence on everything else you do from here on out and therefore make a big difference in the quality of the design you create (and even how you execute it). Typically, when it comes to Christmas lighting, most of the attention gets placed on making things bigger and better. More lights, bigger area, bigger wow effect (I see you, Clark Griswold). However, creativity plays a big part in your ability to stand out and make an impression as well. Don't forget social media. 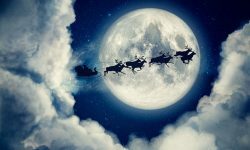 Lots of great inspirational post, pics and groups are out there to help you create your Christmas masterpiece. No matter what you use to spark your creativity, set out to give the judges (and everyone who will come to enjoy your lights this year) something they’ve never seen before! 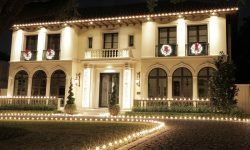 Now that you’ve generated some unique and creative ideas for your Christmas lighting venture, it’s important to be intentional about executing it. Create a thorough, well-mapped out site plan and write it down somewhere convenient (whether that’s on paper or even the notepad of your smartphone). This plan is critical because it will guide you throughout the entire installation process and keep you focused on your central design vision. Make sure you cover all the bases here because the better you plan things out now the fewer problems you’ll have later and the better everything will turn out. This doesn’t just involve how things look, but also what types and specifications of lights, decorations, and the kinds of installation hardware you use because you’re going to want to get this all done upfront (which we’ll talk about in the next step). For example, the proper clips and stakes are a must for keeping your lines perfectly straight along driveways, walkways, and property borders so think ahead of time what you’re going to need to make your display come together with precision. Remember to fully utilize the ideas you came up with in tip #1, but try to keep things organized and uniform. Have an idea of what kind of theme or general design layout you want and only use the unique designs and ideas that fit with that plan. If your design is all over the place or too busy it will have the opposite effect and end up being overwhelming or miss the mark. Now that everything is planned out, it’s time to acquire the necessary supplies to make your creative Christmas lighting vision a reality. Ultimately, your ideas and the plan you use to execute it are only as good as the quality of the tools and supplies you use to make it a reality. This is important not just for ease of installation and appearance (which would be enough in itself) but also important for the sake of reliability. The last thing you want is for lights to start going out, malfunction, or something to break which could invalidate all your hard work and effort. That’s why it’s important you use only the highest quality commercial-grade LED Christmas lights, displays, clips, stakes, and any installation hardware necessary. Realistically, you have a budget and some combination of lights and supplies already, so assess what you’re missing and how much you’ll be able to get within your budget to make your home as bright and beautiful as it can be. The most important point of all is to make sure you get high-quality, commercial-grade LED Christmas lights. 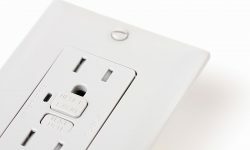 Lower quality LEDs from the likes of Walmart, Target, and other superstores have been known to give off an annoying flicker that can even cause headaches. So make sure to invest in this before anything else. It’s also important to keep in mind that higher quality lights and hardware will save you in the long run, so they’re more an investment than an additional expense. While you’ll undoubtedly be motivated to go big and make your home as impressive as it can be in a bid to win the competition, when it comes to installing Christmas lights and other outdoor Christmas decorations, that inevitably leads to some potentially unsafe situations. From climbing tall ladders to walking on ice-covered roofs, and handling hardware that generates strong electrical currents, the risk of injury is real. First, it’s important to equip yourself with the proper clothing. Gloves with traction and cleats in the case of boots (like Cougar Paws) are ideal to keep you well-planted when scaling ladders and walking across your roof. Next, keep an eye on your electricity use to make sure you don’t overload your home’s electrical circuits. In all likelihood, this will only blow a circuit, which is easily replaced, but it can potentially cause sparks which are a much greater danger. You can track your electricity usage with a tool like Kill A Watt Meter. Lastly, because you never know what might happen, it’s important that if your kids are helping they understand what they can and can’t touch and where to stand when you have to scale the roof or climb the ladder. Few things can be as fun as decorating with your children, but the last thing you want is something to happen to your little ones so make sure you’re clear upfront and they know their place in the decorating process. Taking full advantage of every tool and asset at your disposal is what will make the difference between winning and...participating (to put it nicely). Aside from what we’ve spoken about thus far, there are a few things you can do to pull from experts and professionals to make your display even better. First, in many cases, contest rules allow hiring professional help to both design and install your Christmas display. It sounds crazy, I know, but if this option is allowed by your community’s contest rules (as it usually is) then why not take advantage of it? This is great not just for getting a higher quality end result, but because these professional installers can help mitigate the risks involved with installation like we spoke about in the previous point. And second, the internet is filled with knowledge and wisdom on creating great Christmas displays. There are loads of great video guides, image examples, forums where fellow enthusiasts gather, and more that you can take advantage of to help you every step of the way. In fact, we have decades worth of experience with professional installation on top of our Christmas light and supply expertise. Have a question for us? Join us on Facebook and we’d be more than happy to help out in any way we can. You can also check out our YouTube channel for tips and inspiration to help you along the way. 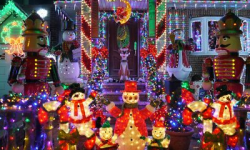 A community Christmas lighting contest is a great opportunity to spread Christmas cheer. 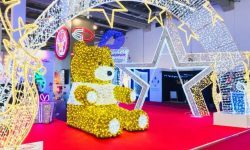 While we undoubtedly play to win, and in that there’s a lot of fun fulfillment, the effect that a great Christmas display can have on all of the people that see it over the holidays is powerful and can’t be overlooked. Play to win, but never forget that it’s about having fun and spreading the joy of the holidays. If you can do that, you’ll be the real winner whether you win or lose.